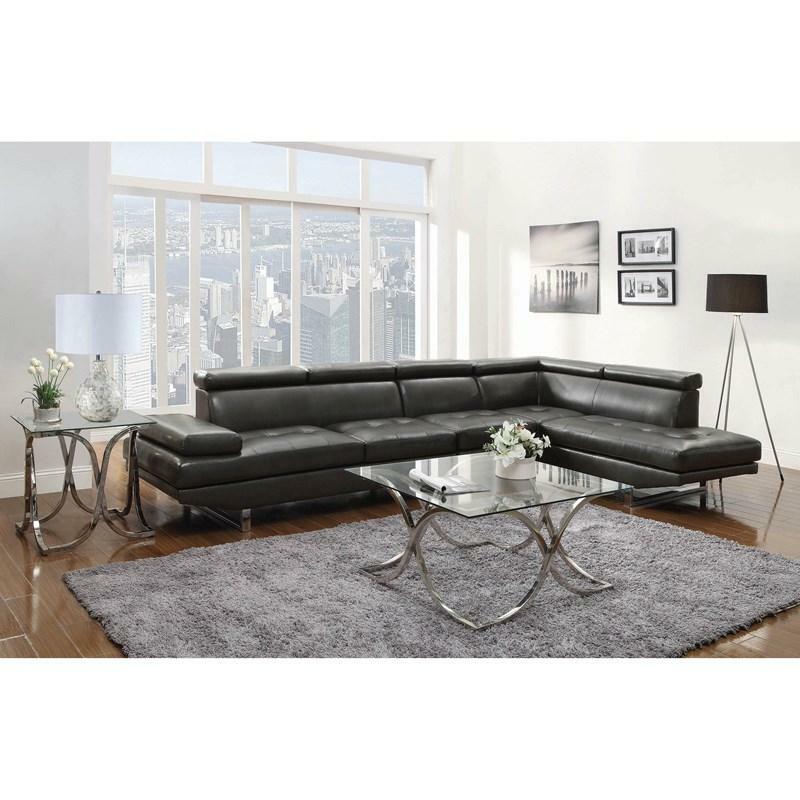 Add a touch of sophistication to your living room with this charcoal sectional. 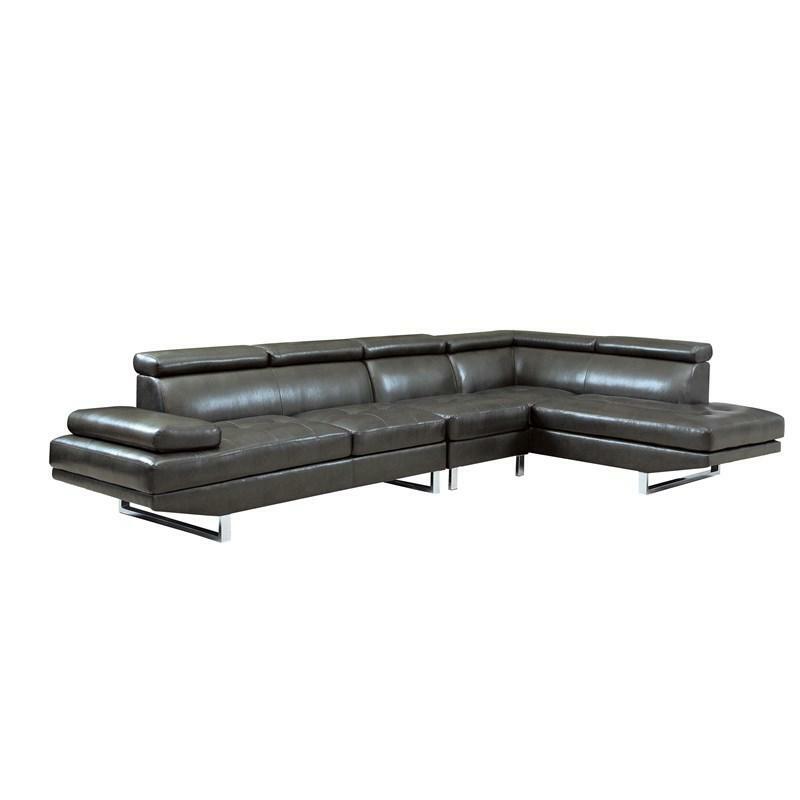 With a contemporary style, tufted seats, and adjustable headrests, this sectional is a comfortable place to rest after a long day. 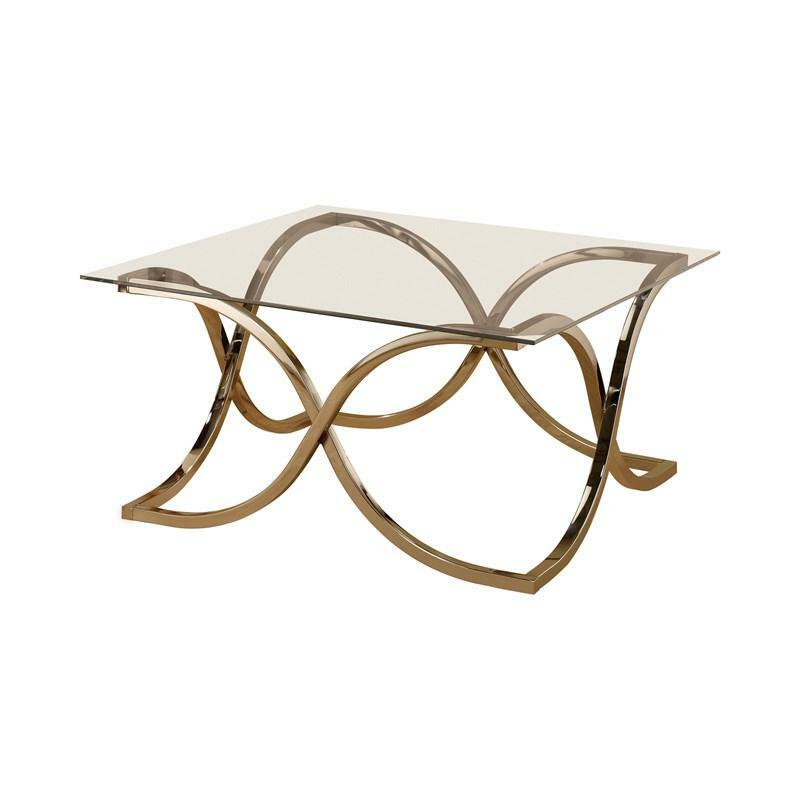 The contrasting chrome legs add a nice pop to the piece making it a great choice for your living room needs. Volume 11.9 cu. ft. / 0.34 cu. m.